INBOX: SCHOOL SAFETY — As students across the country prepare to walk out of class Wednesday to honor the victims of the shooting at Marjory Stoneman Douglas High School, Congress begins its slow-moving legislative machinations to respond to the shooting. In the House, members will vote on the STOP Act, which authorizes $50 million annually in grants through the Justice Department to pay for school threat assessment teams, anonymous reporting systems, training to identify early indications of violence, better coordination between schools and law enforcement, and improvements to school security. The bill has bipartisan support. Elsewhere in Congress, the Senate Judiciary Committee holds an oversight hearing on the Parkland shooting and school safety measures on Wednesday. Leaders of the House Judiciary and Oversight and Government Reform committees met with FBI leadership last week and released a list of “takeaways” from the meeting, including several missed opportunities to identify the shooter. Another item to watch will be the pending government funding bill. Current appropriations run out March 23. Senate education committee chairman Lamar Alexander, who has introduced his own school safety bill and also sits on the Appropriations Committee, said there could be additional funding for existing federal grants that can be used for counseling and school safety measures. MONDAY: SOCIAL-EMOTIONAL LEARNING — At a half-day event, the National Commission on Social, Emotional, and Academic Development releases a “statement of practice” on how best to support students’ emotional, social, and academic development. Educators, including 2017 National Teacher of the Year Sydney Chaffee, participate in panel discussions. MONDAY: DISCIPLINE — The conservative Heritage Foundation holds a panel discussion on the Obama administration’s 2014 guidance that encouraged schools to look into disparities in discipline for students of different races. Conservatives have said it was a federal overreach that has led to schools being less safe, and the Trump administration may get rid of it. MONDAY: NOMINATIONS — The Senate Health, Education, Labor and Pensions Committee votes on the nominations of Frank Brogan to be assistant secretary for elementary and secondary education and Mark Schneider to be director of the Institute of Education Science. The meeting was rescheduled from last week. 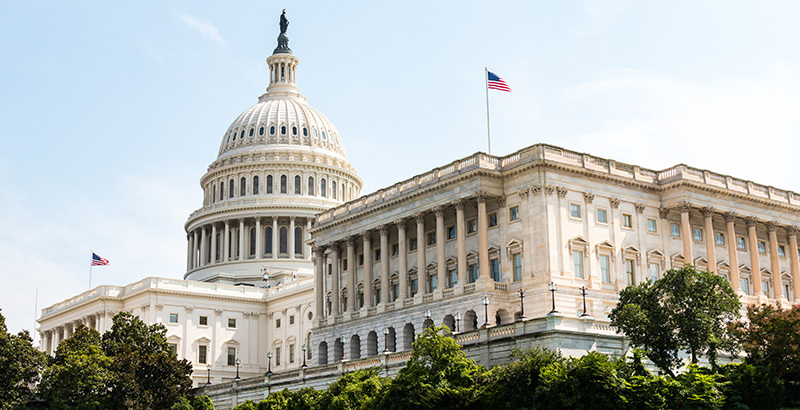 THURSDAY: HHS BUDGET — The House Appropriations Committee hears from Health and Human Services Secretary Alex Azar on his agency’s fiscal 2019 budget proposal. HHS runs most federal early childhood education programs, including the Head Start preschool program for low-income students, Preschool Development Grants, and the Child Care and Development Block Grant program that gives vouchers for daycare. The Trump administration proposed a slight increase for Head Start but wants to eliminate Preschool Development Grants, which help states create or expand preschool programs. A long-term budget deal doubled the funding for the childcare grants. FRIDAY: PUBLIC SCHOOLS WEEK — This week is “Public Schools Week,” a campaign led by AASA, the school superintendents’ association, and other advocacy groups. Events will include speeches on the floor of the House and Senate and a Friday panel discussion on understanding funding streams that impact public education.